Time for a helpful read: Enjoy Time by Blyth – Joyce's mystery and fiction book reviews with some non-fiction too! Do you enjoy time or is time ruling you? 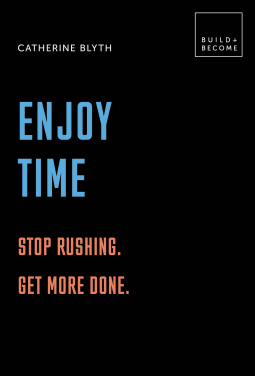 Are you always rushing but never finishing all you need to do? Does free time make you anxious because of a need to always be productive? Are you able to step away from your devices? The questions could go on and on and there are many good ones. In this book the author helps the reader to slow down, to think about time, about family, about friends, about work and other things that we each find meaningful. Through text and helpful suggestions, readers will come away with a sense that their lives could be so much better when they are aware and perhaps more highly value their time. In this reviewer’s opinion, you should take the time to read this book!